Your Fire Family’s Health: Can you fix a bad mood? I’m not one to throw around excuses. My personal belief is that we’ve got to own our stuff, recognize what’s going on and be self-aware of our own triggers and reactions. This is so easy to write and so hard to live. We all have those days when we just can’t seem to control the mood exuding from our attitude or worse, the words escaping from our lips. Whether we are irritable or lethargic or anxious or snippy, the mood fills our head and won’t leave no matter how we will it. Is it worse on a shift day? Sometimes. Simply because you are separated from the one with whom you can hopefully find reprieve and a little grace in a big warm hug. But sometimes these moods even put up a brick wall against the one’s we love the most. Sister I’ve been there. Sometimes on those days it’s best I just stay away from the internet all together lest my icy glare crack the screen on the other side of your computer. I’m fascinated by the workings of the brain and how our overall health can influence it. Over all the lifetime of humanity on earth, there are core topics regarding the human brain and moods and attitudes and relationships that are pervasive and repeat themselves over and over. Jealously, envy, hate, bitterness. You can watch history from a thousand years ago, a hundred years ago, one year ago or one day ago and KNOW you aren’t supposed to do something yet the brain still does. There’s one key advantage today and it starts with a big ole G. Google. You have access to more resources regarding how your brain works and what you can do to improve it than ever. From the writings of Plato and Socrates to Norman Vincent Peale and The Power of Positive Thinking, the Holy Bible and all spiritually-inspired thoughts about it’s scripture, and today some of the brightest neuroscientists ever-learning and finding new ways that our brain ticks. Dig into those resources. You will absolutely learn. But if you don’t have time to dedicate a lifetime of study to it, I want to share with you a short framework to begin to look at what gets you stuck in a mood and what you can do about it. Is it a condition of the heart? Am I coveting something? Have I been hurt by another? Am I feeling rejected? Is it a condition of the mind? Is my thinking ’stinking’? Have I been listening to bad advice and negative nellies around me? Am I doubting my abilities? Both of those questions are key and can be processed with trusted friends and mentors and by spending time in meditation and prayer. Don’t let my short words on them under represent their value. We must always be checking that our hearts and thoughts are in a healthy place. I want to dig deeper into this next possibility though. Because if you can change your mood with a quick change, wouldn’t you want to? Is a disgruntled mood a condition of the body? 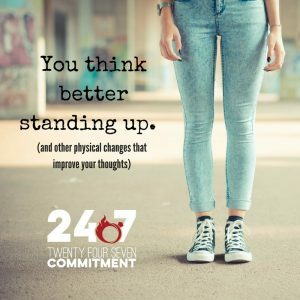 I have a note by my desk that says “you think better standing up.” When I find myself sitting there and getting stuck and frustrated and fuzzy headed, sometimes I just need to stand up, walk around a bit and the brain juices start flowing. Many small physical changes can improve your mood. Drinking a glass of water. Smelling something that triggers refreshment (like an essential oil diffusing in my office) or listening to inspiring music. Sometimes just putting on more comfortable clothes that aren’t annoying me in some way are exactly what I need to remove a mental distraction and improve my mood. These actions physically change a reaction in our body that can bring about a positive change. I’m writing this in an airplane – where my writing seems to really flow so well. Is there something about the altitude and oxygen levels that put me into the zone whenever I fly? I’ll be googling that but would love to bottle it and take a shot some days. Our decisions are literally chemical reactions that fire in our brain. Neuropathways form in our brain over time and build habits. Some good and some bad. So it makes perfect sense that if we can change the input of chemicals coming into our body, we can have an impact on our decision making ability and our moods. Think of this in the negative direction too when you consider what drugs and alcohol do to impair our decision making. Each of us is a unique little petri dish of chemicals so there is no “one size fits all” solution. Some people are more susceptible to the impacts of alcohol. Why wouldn’t we possibly be more susceptible to the impact of not enough water or too strong of a smell or too much dairy? And we are constantly tweaking and changing as our body changes – hormones change, metabolism changes and so forth as we age. So this is clearly way too complex to unpack in just one article. 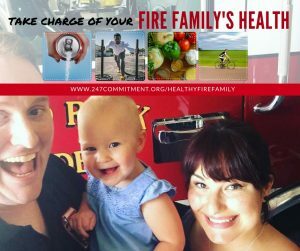 But as we find helpful resources for fire families (or any family for that matter…..you’re all welcome to read along here), we want to share them for wherever you are on your journey. About 10 years ago, we started with removing high fructose corn syrup from our diet. We have basically moved to a point where we drink primarily milk and water as a family, with the occasional treat drink on special occasions. We also try our best to move away from processed foods, but me not being the best kind of cook definitely finds it a struggle sometimes. However, in moderation this can be hugely narrowed down from your diets. In 2011, my son and I began to eat gluten free based on a medical condition he was facing. Within a week, I had found that my middle of the afternoon tired and fuzzy headed thinking were gone. And… monthly PMS symptoms were greatly reduced. All of that (plus great improvements in gluten-free food availability) have motivated me to stick with it. But these are just examples for you. My goal is to be on a trajectory of learning and improving my families health. I want to give my family the best chance at being their best. As I write this, I’m nearly a 44-year-old woman, but looking back, this has been a pervasive problem. I’m not going to blame it on my hormonal middle age-ness, nor even womanhood because I have seen men experience the same thing. Up next on my list to explore are my hormone levels and fluctuations. When you ask the right questions, and come to the appointment armed with the right information, your family doctor can perform the right tests to see how those hormones are all flowing through your body. Life is too short to be grumpy, tired and not performing at our best. Take charge of your Fire Family’s health with some of these suggestions. Next in this series… a deeper dive into detoxifying your fire family. One of the biggest reasons why we don’t make changes in our lives is that even though we know we should, we simply don’t know how. When you think about it, it’s shocking to realize the only thing holding many of us back from living healthier lives is a lack of knowledge. In the Fire Wife Sisterhood, we are determined to arm ourselves and others with valuable resources for all things fire family. Marriage. Health. Kids. Prayer. Local Groups. Community. Events. Ideas. You name it, we want to talk about it! Join the Fire Wife Sisterhood! Gifts for Firefighters and Family Day 9: Yum Yums! Firefighter Wife on a mission to save fire marriages, nurture and encourage other fire wives and love on Jesus, my firefighter and our 4 kids. Blessed to be leading this amazing community of Fire Wives. Firefighting is a noble profession. And also one that takes an emotional toll sometimes at the expense of marriages and family life. 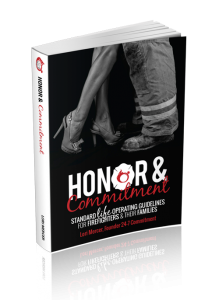 Our Mission is to honor, strengthen, support and encourage fire service marriages and families. 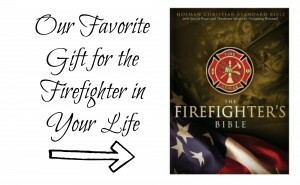 Whether you are a firefighter or a significant other, male or female, struggling or just wanting to be a part of a good community that is positive, uplifting and supportive of your choices to honor your marriage and family, this is for you.